The AirPower wireless charging mat was originally announced in September, 2017 at an Apple media event. According to reports, this handy device could be shipped by the American tech giants in March. The mat uses the Qi standard for wireless power transfer and should have multi-device charging capability. There has been no official confirmation from Apple yet. 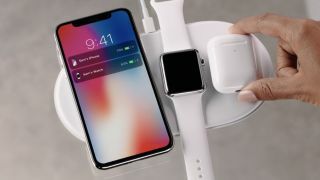 There have been rumors that Apple is ready to release its AirPower wireless charging mat, possibly at the end of March. It has also been suggested that a wireless charging case for Apple’s AirPods will be released at the same time. However, this information is sourced to a retail tipster, meaning none of the details offered are certain until officials at Apple decide to confirm or deny them. The AirPower wireless charging mat was revealed at the iPhone X Event last year. The mat’s purpose is to cut down on the number of cables required when charging multiple devices. The mat is simply plugged in to a power socket and then charges devices placed on it through inductive charging. Devices that have been listed as compatible with the AirPower mat include the iPhone 8, iPhone 8 Plus, iPhone X and Apple Watch (series 3). It should also be possible to charge AirPods if they are placed into the wireless charging case that industry insiders are expecting Apple to release. No confirmed price information for the mat has been released yet, although a Polish website called X-Kom has the device optimistically listed for 999 Polish zloty, which is about US$294 at the current exchange rate.